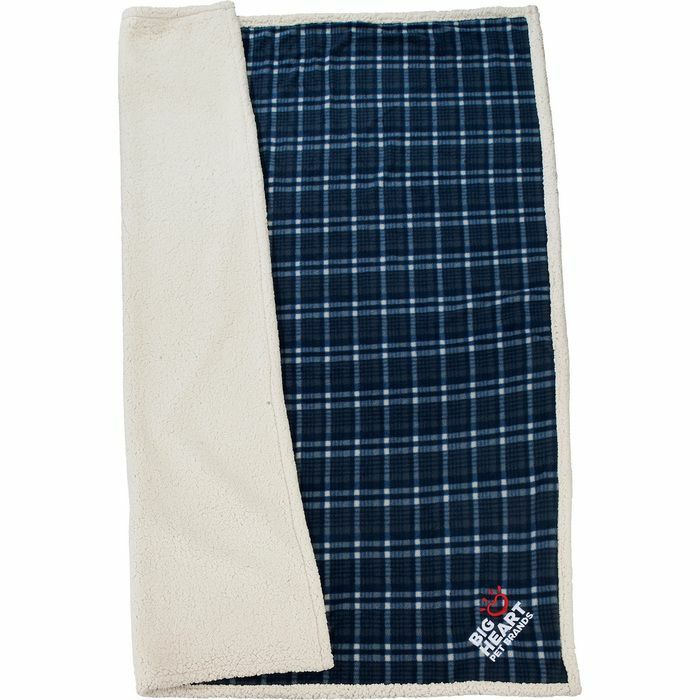 Plaid Sherpa Blanket features a classic look with timeless style. Super soft and cozy, a perfect luxurious comfort. Imprint Area Open corner bottom,Centered 9" up from corner (diagonal orientation) 6.00" H x 6.00" W Embroidery up to 7,500 stitches - no extra charge. Each 1,000 stitches, if needed, will be $0.40 extra per pcs.